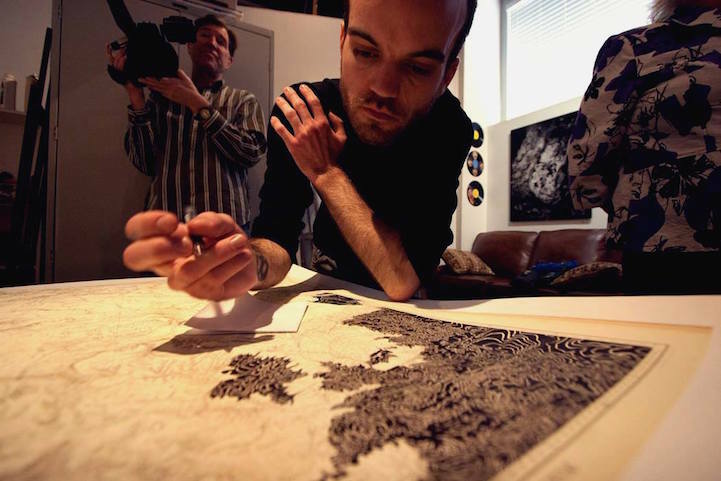 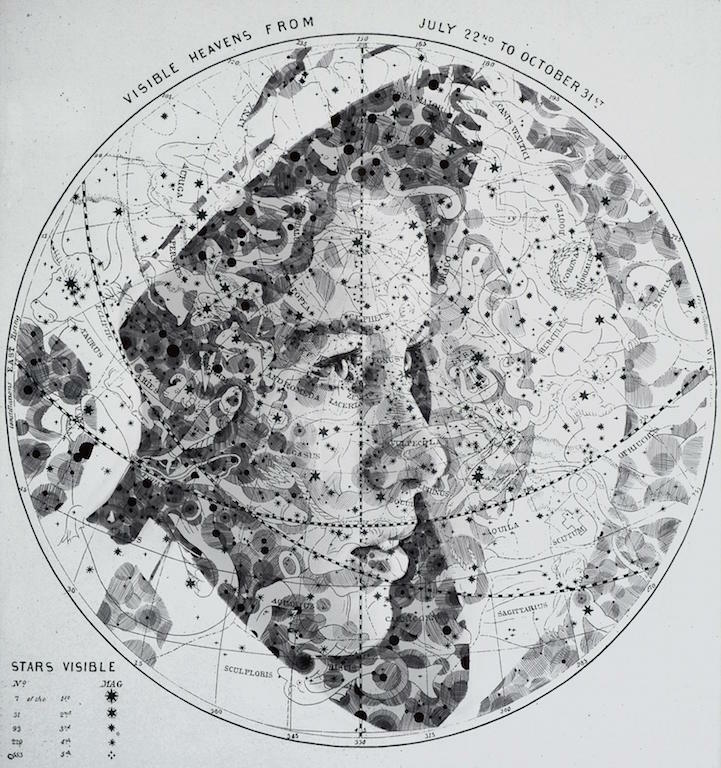 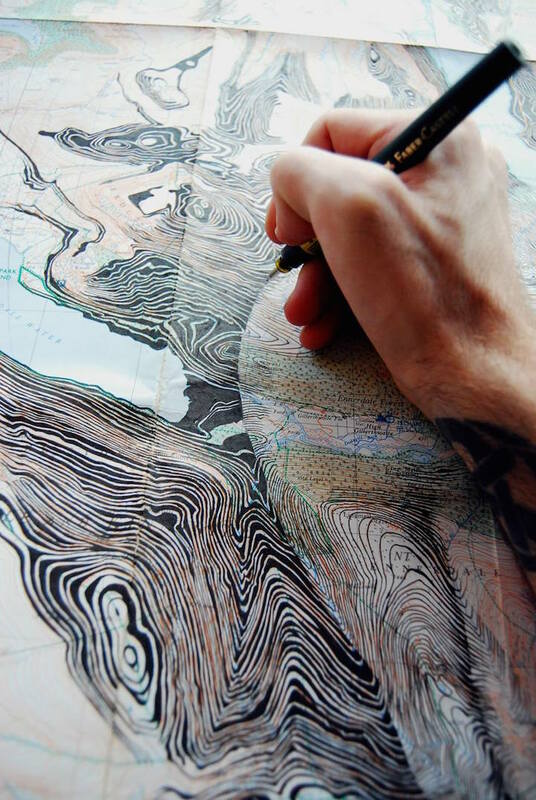 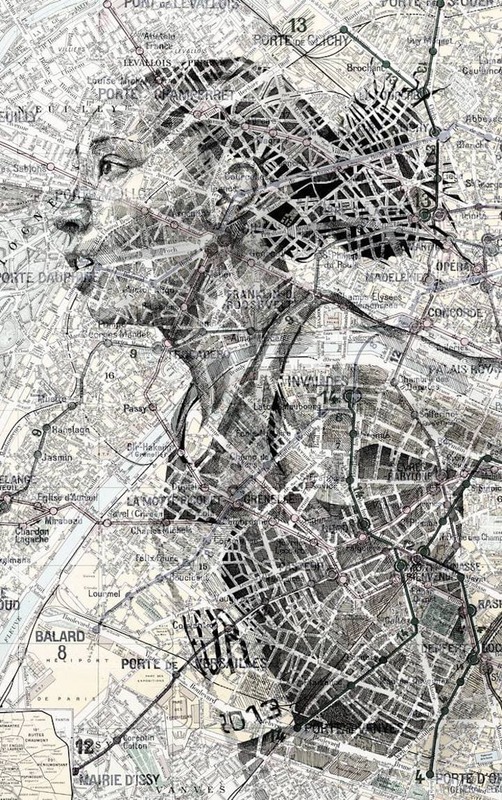 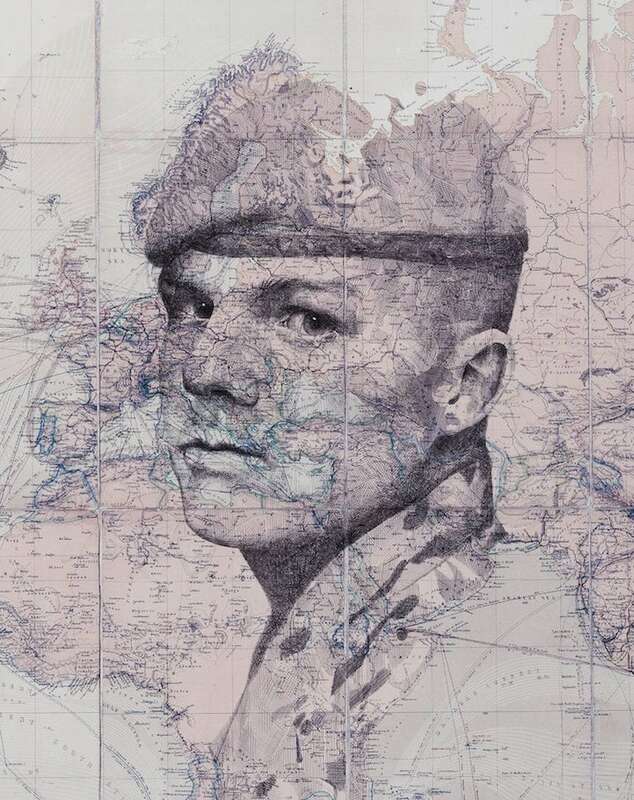 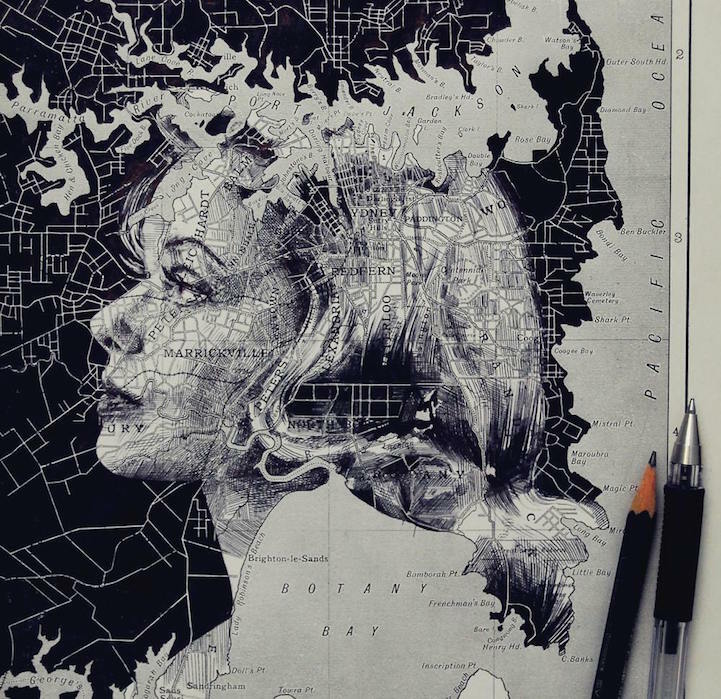 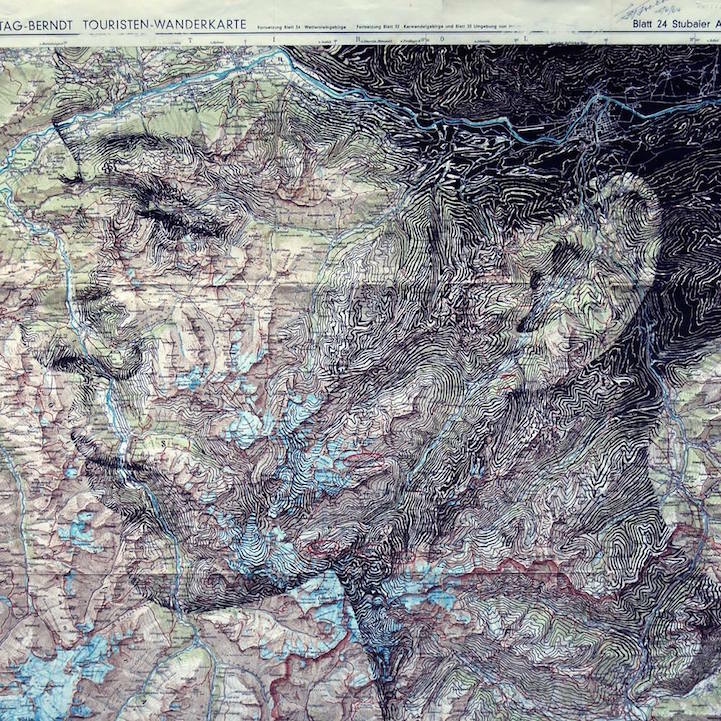 In an unusual blend of cartography and illustration, UK artist Ed Fairburn practices map as his canvases for striking ink and pencil portraits. 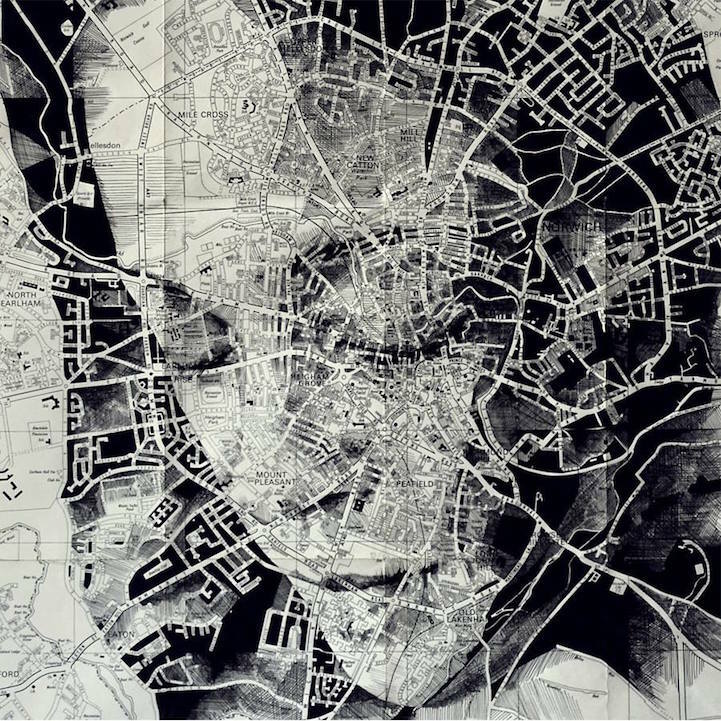 Faces scrapped by shapes that not only draw borders, roads, and geographical features but also bear a remarkable resemblance to veins and the texture of skin. 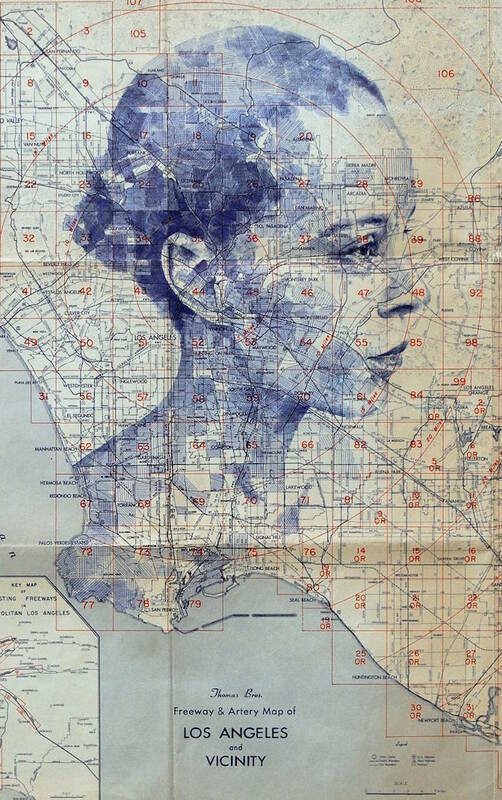 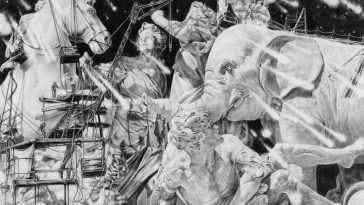 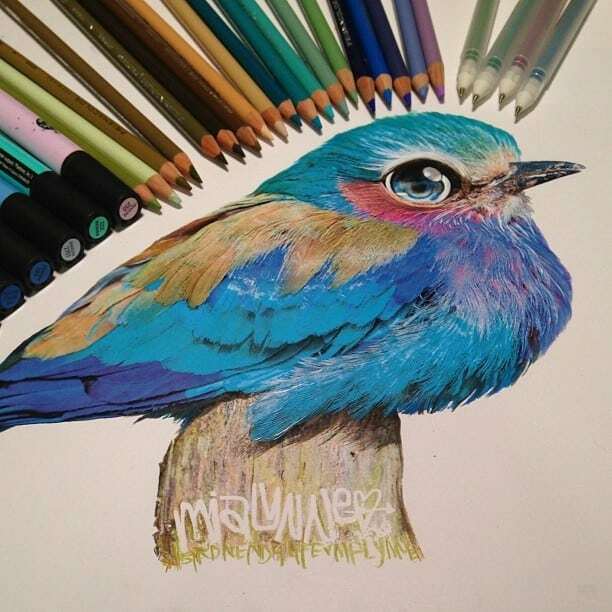 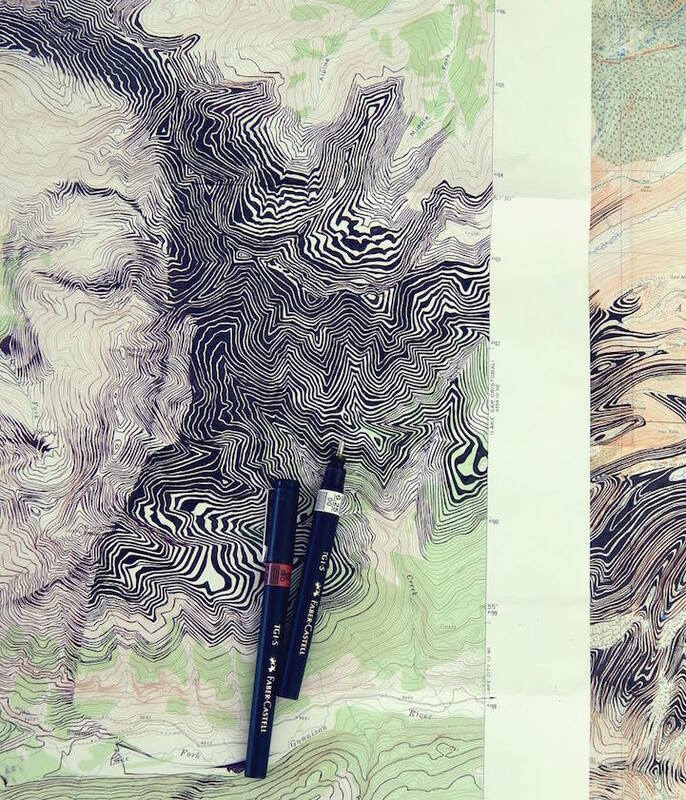 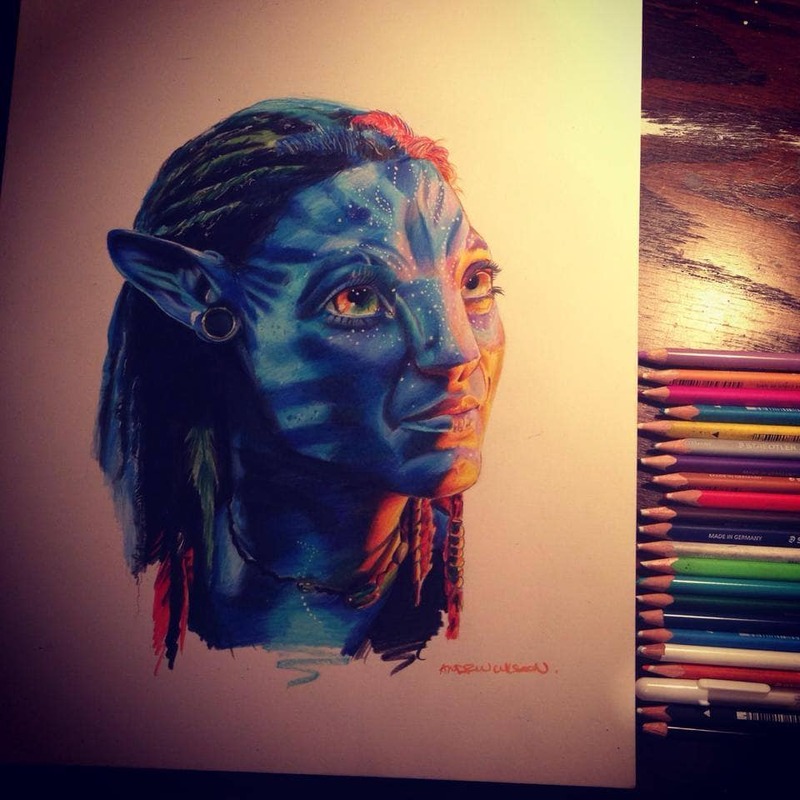 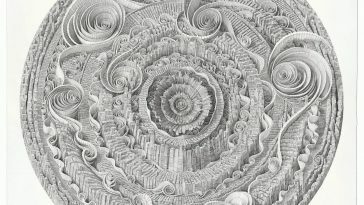 Made up of amazingly complex details, the human forms that rise from dense lines are exceptionally realistic, even while being abstracted by the patterns of the maps.